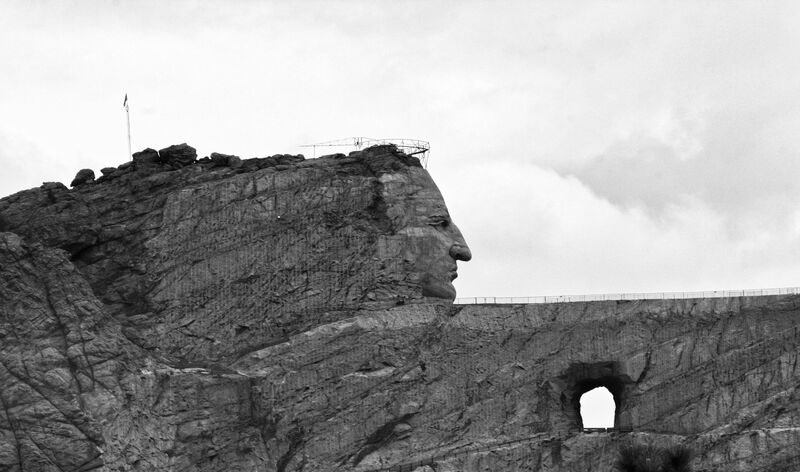 It’s been a few years, seven or eight in fact, maybe even ten, since my visit to Rushmore and the Crazy Horse monument . I don’t have any desire to visit such sites and basically went at the behest of an elder who wanted to see first hand what it was all about. I’m told now the head of CH has been completed, as can be seen in the photo I took then it hadn’t been. Impressive amount of work and skill at both sites, but I’m not in favor of carving up mountains for any reason. There seems to be an inner turmoil among friends I’ve talked to about this – to the man or woman they don’t like Rushmore for obvious reasons. 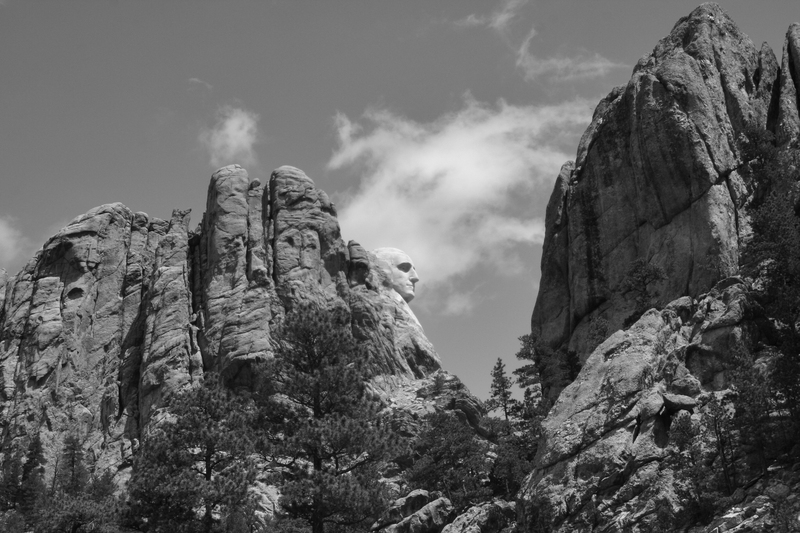 When it comes to CH they will voice the opinion they don’t like the mountain being carved up with an under current of something else as well – sort of well if we have to four dead presidents staring at us, one of them Lincoln, who signed off on the largest mass execution in this country of 38 indigenous men, maybe it’ s an in your face sort of thing to have a bigger CH , ultimately though neither should exist. Following our visit we stopped at the town of Keystone, kind of the gateway to Rushmore and CH for something to eat. Got the predictable tourist looks of curiosity accompanied by what were thought to be secretive snaps of camera shutters as we verbally mulled things over. This elder already unsettled by what he had seen upon seeing the curious looks and hearing the shutters quietly said he now understood how the fourlegs in the zoo must feel – that struck me in a way I wouldn’t have anticipated, the truth of it. There are those who will say as a people the nations need to “get over it” – doesn’t matter who you are or where you are some things you never truly get over.